Deepak Kumar Sinha is a Scientist in Plant Molecular Biology Group, International Centre for Genetic Engineering and Biotechnology, New Delhi. He was Assistant Professor, Department of Biotechnology, Maharishi Markandeshwar University, (August 2014-June 2015). 5) Deepak Kumar Sinha and C.M. Smith. 2014. Selection of Reference Genes in Diuraphis noxia (Hemiptera: Aphididae) for Expression Analysis in Aphids Fed on Resistant and Susceptible Wheat Plants. Accepted in Scientific Reports, 4, 5059; DOI:10.1038/srep05059. (Thompson Reuters IF:5.08; NAAS rating: 7.8) [Nature Publication Group- ISSN (Online): 2045-2322]. 6) R. Ananthakrishanan, Deepak Kumar Sinha, M. Murugan, K.Y. Zhu, M.-S. Chen, Y. C. Zhu, and C.M. Smith. 2014. Comparative gut transcriptome analysis reveals differences between virulent and avirulent Russian wheat aphids Diuraphis noxia. Arthropod Plant Interactions 8: 79-88. (Thompson Reuters IF: 1.18; NAAS rating: 7.6) [Springer Link ISSN (Print): 1872-8855]. 7) Deepak Kumar Sinha, Isha Atray, J.S.Bentur and Suresh Nair. 2012. Expression of nucleotide diphosphate kinase (OoNDPK) is enhanced in rice gall midge feeding on susceptible rice hosts and its over-expression leads to salt tolerance in E. coli. Insect Molecular Biology 21:593-603. (Thompson Reuters IF: 2.98; NAAS rating: 7.8) [Wiley ISSN (Online): 1365-2583]. 8) Deepak Kumar Sinha, Javaregowda Nagaraju, Archana Tomar, J.S. Bentur and Suresh Nair 2012.Pyrosequencing-based transcriptome analysis of the Asian rice gall midge reveals differential response during compatible and incompatible interaction. International Journal of Molecular Sciences 13:13079-13103. (Thompson Reuters IF: 2.34; NAAS rating: 7.8) [MDPI, Switzerland ISSN (Online) 1422-0067]. 9) Deepak Kumar Sinha, J.S. Bentur and Suresh Nair. 2011. Compatible interaction with its rice host leads to enhanced expression of gamma subunit of oligosaccharyl transferase (OoOST) in the Asian rice gall midge (Orseolia oryzae). Insect Molecular Biology 20:567-575. (Thompson Reuters IF: 2.98;NAAS rating: 7.8) [Wiley ISSN (Online): 1365-2583]. 10) Deepak Kumar Sinha, M. Lakshmi, G. Anuradha, S. J. Rahman, E. A. Siddiq, Jagadish S. Bentur and Suresh Nair. 2011. Serine proteases-like genes in the Rice Gall Midge show differential expression in compatible and incompatible interactions with rice. International Journal of Molecular Sciences 12: 2842-2852. (Thompson Reuters IF: 2.34; NAAS rating: 7.8) [MDPI, Switzerland ISSN (Online)1422-0067]. 11) J.S. 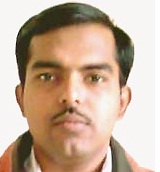 Bentur, Deepak Kumar Sinha, Ch. Padmavathy, M. Muthulakshmi and J. Nagaraju. 2011. Isolation and characterization of microsatellite loci in the Asian rice gall midge (Orseolia oryzae). International Journal of Molecular Sciences 12: 755-772. (Thompson Reuters IF: 2.34; NAAS rating: 7.8) [MDPI, Switzerland ISSN (Online) 1422-0067]. 12) Nidhi Rawat*, Deepak Kumar Sinha*, P.Rajendrakumar, R.M.Sundaram, C.N.Neeraja and J.S.Bentur. 2010. Differential expression of three genes coding for pathogenesis related proteins in rice cultivars in relation to infestation by the gall midge (Orseolia oryzae). Current Science 99: 1361-1368. (Thompson Reuters IF: 0.83; NAAS rating: 7.4) [Indian Academy of Sciences ISSN (Print) 0011-3891] *equal contribution; Cover-page article.